Located in the New York region, Brookhaven is a town and its area, population and various key information is listed below. For all your administrative procedures, you can go to the city hall Brookhaven at the address and times indicated on this page or contact the town hall’s reception by phone or by email depending on your preference or the information available. Brookhaven satellite image: Brookhaven town from the sky! 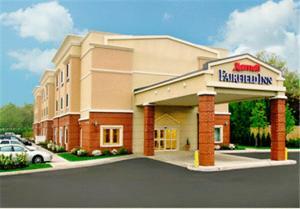 Scheduled shuttle services are available to MacArthur Airport and LIRR Ronkonkoma train station at this Medford, New York hotel. An indoor pool is available and rooms include free Wi-Fi. Directly off motorway I-495 and within driving distance to Long Island attractions including the Hamptons, this hotel offers comfortable guestrooms furnished with signature Cloud Nine beds and free wireless internet. 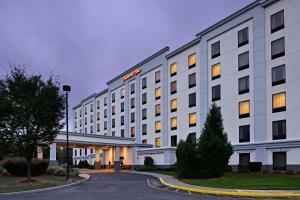 This Comfort Inn is located off the Long Island Expressway, a 15 minutes’ drive from the Long Island MacArthur Airport. The Medford hotel offers a gym and spacious rooms. Featuring an indoor pool and fitness center, this hotel is located less than a mile from Route 27. Guest rooms at SpringHill Brookhaven come with a mini-refrigerator and microwave. This Residence Inn is 7 miles from Blue Point Marina and 3 miles from Long Island MacArthur Airport. It features an indoor pool and provides free Wi-Fi throughout the hotel.